2h, 13 people, 45 mugs! A big thank you to everyone who came by Grünerløkka Bakeri last Saturday and to everyone who donated a mug or two (or more!). It was great to see such a turn out and it motivates us to see that people are interested in oslo soup as an idea and project. Of course, we do not want to forget about the great Silvia who donated 10 mugs just days before our Open House (and that is not even part of the big collection). 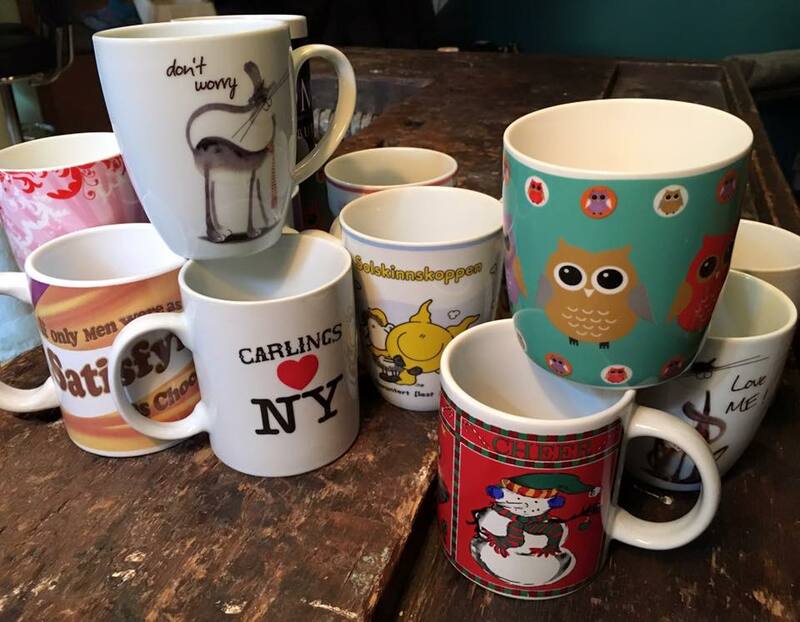 A big shout out also to Marita Butikken for donating 14 mugs – truly appreciated. We are getting more and more psyched for our event on April 10th, so it was great to be able to answer all un-answered questions and give advice to people seeking to hand in a proposal. Oh and my dream of being stalked by a camera finally came true as we had Iara and Luca as our paparazzi on Saturday – hope you will get a chance to look at the pictures on our facebook page thank you to Iara and Luca for their time and effort – much appreciated. Ahead of us are 4 weeks of intense preparation, heated discussions and more late-night meetings – of course all accompanied by delicious food (let’s not forget that Tara went to L’Academie de Cuisine). So, I will take this opportunity to remind you all that you still have time to submit your proposal – no later than March 15th – and please do not feel shy to ask us any questions or if you need help via info@oslosoup.org. And of course, if there is anyone else interested in any aspect of oslo soup or if you would like more information, drop us a line and we will be sure to include you in all our communication. I hope I have answered all your questions, if not.. there will be another blog coming your way next week. Ah, don’t we just all love a good blog-read? Happy week all oslo soup followers and I am SO EXCITED for the upcoming weeks, I hope you are too.